Be mesmerized as you snorkel with hundreds of bioluminescent plankton in Koh Rong Samloem! Take part in this amazing and intimate night away from the tourist crowds, exclusively through Klook! It’s an evening experience on the beaches of Koh Rong Samloen unlike any other. Koh Rong Samloen is famous for its stunning white beaches and blue waters, but when night falls, a truly magical even takes place. Hundreds of tiny bioluminescent phytoplankton rise in the warm water and are a scintillating sight like a starry sky as you move through them. Klook now gives you an exclusive, intimate opportunity to experience this breathtaking natural wonder for yourself with an evening snorkel that allows you to swim through these shining microscopic organisms. See the incredible underwater light show right in front of your eyes. To get the most out of this tour, you need to go in the water with a mask on. It’s a one-of-a-kind experience that you can only find in the waters of Koh Rong Samloen and available only through Klook. 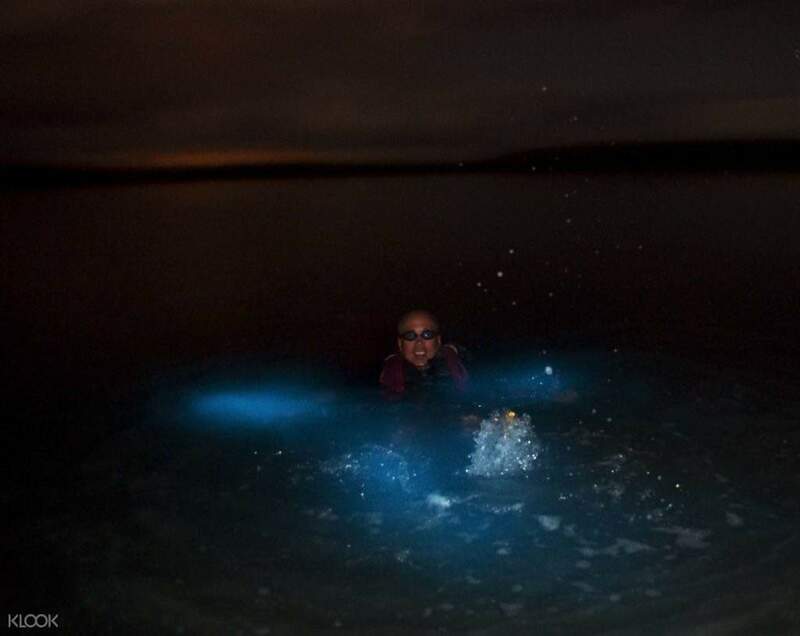 Swim through the simmering bioluminescent plankton out at sea!